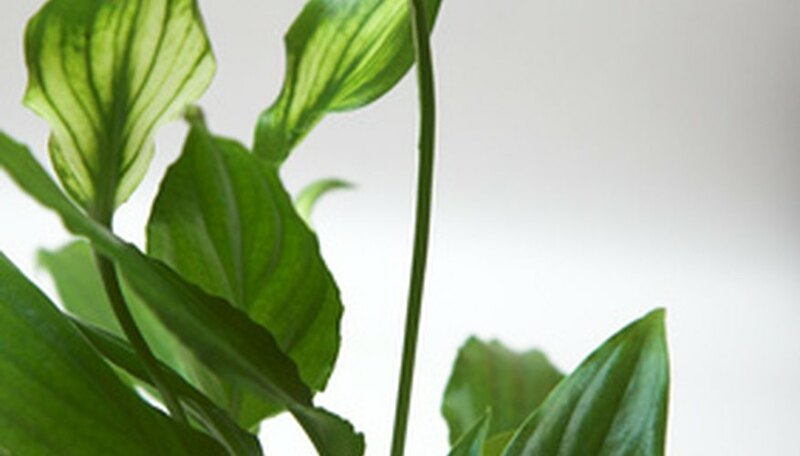 Feeding your houseplants should be just as routine as watering them or dusting their leaves. Unfortunately, many indoor plant growers forget that potted plants need fertilizing too to keep nutrients in the soil and help the plant grow. While there are expensive liquid feeds, plant spikes, and granules you can buy for your plants, a simple homemade houseplant food can be mixed in your home out of supplies you already own. Mix together in your watering can the Epsom salts and water. Be sure the water is at room temperature or allow the watering can to sit for a few hours until it feels tepid. Stir the mix well to make sure none of the salts are resting on the bottom inside the watering can. Water your houseplant with this water in lieu of the regular watering for that week. Just be sure it goes on the soil only and not the plant leaves or trunk. Sprinkle a tablespoon of coffee grounds around the base of the plant over the soil and mix it in with the upper ½-inch layer of soil gently with your fingers or a small hand trowel. Blend a few dried eggshells in a blender or coffee grinder into a grit of sandlike consistency, and sprinkle a tablespoon of the eggshells over the soil of each houseplant. Make the Epsom salt and water mix each month to water your houseplants and continue to feed your plant. You can also add new tablespoons of coffee grounds or eggshells monthly if desired. Another quick way to "make" plant food for your houseplants is to use the old water from a freshwater aquarium. This water is full of nutrients and is readily available after each regular water change.